SALEM, Ore. (AP) — Sen. Jeff Merkley, one of the most vocal critics of President Donald Trump’s immigration policies, seemed content to meet with constituents in Oregon and did not say if he’ll run for president in 2020. Merkley has been postponing a decision on a White House bid for some time. Last year, he said he’d decide soon after the November midterm election. Now, he says he’ll decide before the end of this first quarter. Nine Democrats have declared their intentions to run — the most recent was Sen. Kamala Harris from California. 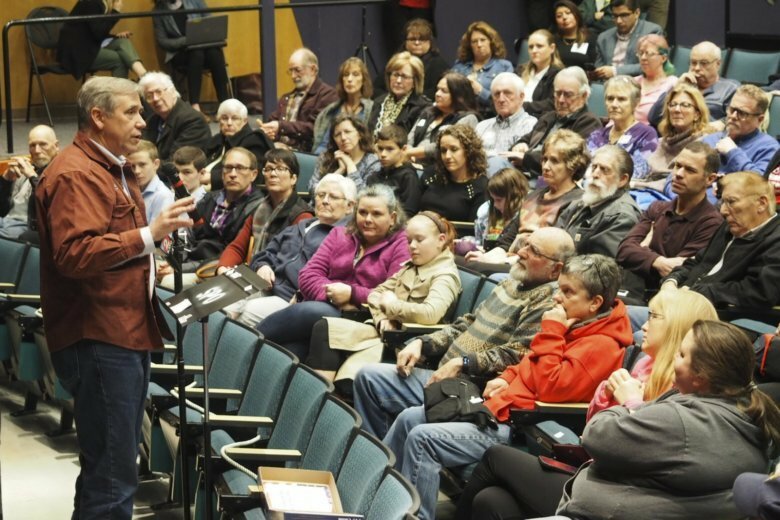 “One every day,” Merkley said with a grin during an interview Monday before he hosted a town hall in a community college in Salem, Oregon’s capital city. Deciding whether to run is a gamble as Merkley faces an ever-expanding field of Democrats and would have to abandon the option of being elected to the Senate for a third term — unless the Oregon Legislature changes the law. Merkley gained some name recognition nationally last June, when he tried to enter a federal facility in Texas where immigrant children were being held. An aide videotaped the scene as he was refused entry and police were called. The video quickly gained over 1 million views in a day, and was repeated in newscasts across the country. The Oregon Democrat said it was “spooky” that in this era, legislation in America would have internment camps in its title. Merkley, the son of a millwright, was first elected to the Senate in 2008 and handily won re-election six years later. He said senators have a huge ability to influence the direction of policy, even if they’re not the chair of a committee or subcommittee. Merkley is a member of the appropriations committee; the environment and public works committee; the foreign relations committee and the budget committee. Merkley, to support Democratic candidates for other offices in key states, has hired field staff in states such as Iowa and New Hampshire. They could also assist in laying the groundwork for a presidential run. He has already visited Iowa, New Hampshire, South Carolina and Nevada, states that have early primaries and caucuses in the presidential sweepstakes.